With the event of mixed martial arts (MMA) becoming mainstream in the media, more and more people are looking to martial arts and self-defense classes as an alternative to the usual gym and fitness routine. At Keller Elite Martial Arts, we have been training in and teaching martial arts long before the media hype. We proudly bring forth this tradition to new generations of martial artists by offering a variety of classes to our students. The Keller Elite Martial Arts Plan: To Help You Achieve Your Goals. Keller Elite Martial Arts teaches traditional martial arts in a modern fitness environment. The students in our programs experience a number of life-changing physical and mental benefits. The Keller Elite Martial Arts martial arts curriculum provides a great way for adults to stay in shape. 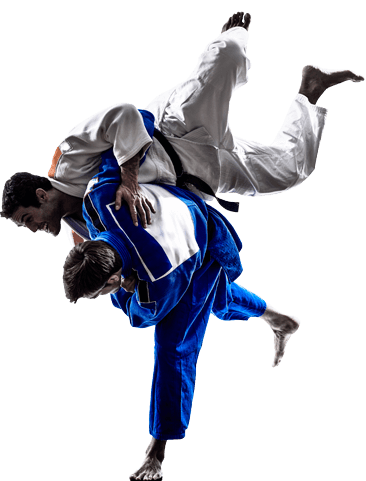 Judo places an emphasis on throwing opponents and subduing them via pins and locks, making it an effective form of self-defense. Muay Thai Kickboxing classes are an exciting way to start feeling stronger than ever! After a long day at work or school, Muay Thai is the answer to that much-needed outlet for stress, fatigue, and anxiety. Burn calories, feel good about yourself, and learn an amazing martial art that will help you become the best version of yourself! If you would like to try Brazilian Jiu-Jitsu, Judo, or Muay Thai Kickboxing in a smaller setting, or just need that extra push to take your fitness to the next level, we are here to help! Kids looking to compete in tournaments often take weekly private lessons to hone their skills & get the edge on the competition. Adults enjoy training with our instructors as the focus is solely on you. We will pinpoint fine details that will take your technique to the next level, give you nutritional guidance, and provide you with exercises to work on outside of class to improve your overall well-being!